Grooming now offered 6 days a week! 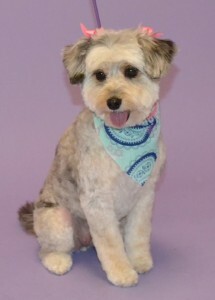 Autumn Green Animal Hospital is thrilled to be able to offer grooming Monday through Saturday now! We have two wonderfully talented groomers on staff, Ginger on Monday and Wednesday and Kristina on Tuesday, Thursday, Friday and Saturday!! We use low stress grooming techniques, Young Living Essential Oils and grain free shampoo. With the holiday season right around the corner don’t forget to make your reservation today!